and more engaged with their writing? Learning how their creative brains work – and knowing what to do when their creative brains are hijacked! 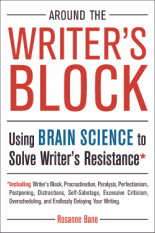 Instead of the disruptive mind games so many writers fall prey to, ranging from discouragement over the latest rejection to full-fledged writer’s block, writers can learn a few simple techniques to turn their brains into finely tuned creative systems. My conference presentations provide an engaging, interactive look at the latest breakthroughs in brain science (in a decidedly “you don’t have to be a brain surgeon” approach). I help writers understand where writing resistance comes from and give them easy-to-implement habits to solve that resistance. I’ve seen it work for thousands of writers – at every level from raw beginner to multi-published author – in my twenty years as a writing teacher and creativity coach. As soon as writers have a basic understanding of how the creative brain works and what part of the brain interferes with that creativity, they’re able to overcome resistance, increase their output, and take more joy in their craft. I send your participants home with the one thing every writer needs: the map that routes them around the writer’s block! Unique Opportunity for Conference-Goers Many conference-goers crave personalized feedback, and many conferences have great success providing manuscript critiques or one-on-one sessions with agents and editors. Along with big group presentations, I offer a unique twist on this popular offering: one-on-one (or small group) creativity coaching sessions that help writers maximize their creative energy and solve their individual writing struggles. Contact me for more information about my availability and how this unique perspective can make your conference one that participants rave about for years.